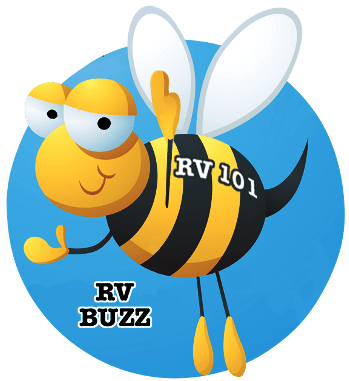 Today I want to talk about one of the most important and most neglected components of your RV’s electrical system. The RV batteries. 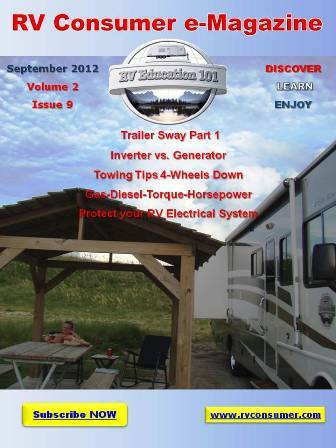 If your RV batteries are only lasting one or two camping seasons chances are they lack routine maintenance. We tend to take our RV batteries for granted. We depend on our batteries to be there when we need them, but in many cases we do very little to make sure they are maintained properly. The two most common causes for RV battery failure are undercharging and overcharging the batteries. Undercharging is a result of batteries being repeatedly discharged and not fully recharged between cycles. If a battery is not recharged the sulfate material that attaches to the discharged portions of the plates begins to harden into crystals. Eventually this sulfate material cannot be converted back into active plate material and the battery is ruined. This also occurs when a battery remains discharged for an extended period of time. Battery sulfation is the number one cause of battery failure. The second leading cause of battery failure is overcharging the batteries. Overcharging lead acid batteries results in severe water loss and plate corrosion. The good news is both of these problems are avoidable. Before we talk about battery maintenance we need to talk about battery safety. Lead acid batteries contain sulfuric acid which is extremely corrosive and can cause severe burns or blindness. And the hydrogen gas that batteries produce when they’re charging is very explosive. When you work around batteries you need to wear goggles and gloves, remove all jewelry and do not smoke or use any open flames. If you accidentally get battery acid on your skin, flush it with lots of water and if it gets in your eyes you need to flush with low pressure water for 15 minutes and call a doctor. Battery maintenance is actually very simple. By performing these simple maintenance procedures every three to six months you can extend the life expectancy of your RV batteries. Note: You should make these checks more often in hot temperatures or during heavy battery usage. The first thing you want to do is visually inspect the battery for any obvious damage. A damaged or leaking battery should be replaced immediately. Inspect the battery terminals, cables, and connectors for any damage and for secure connections. Look for any signs of corrosion. Corrosion can be neutralized with a 50/50 mixture of baking soda and warm water. Clean any dirty battery terminals and the insides of cable clamps or connectors with a post and clamp cleaner. If you remove any battery cables always disconnect the negative battery cable first. When you reconnect the clamps to the terminals connect the positive cable first. Never over tighten the battery terminals. When you finish making connections spray the clamps with a battery terminal protector. Checking the electrolyte level on a regular basis can save your RV batteries. Check the water level monthly. If you leave your RV plugged in with the batteries charged by the converter battery charger check water levels bi-monthly. If your converter doesn’t have a three-stage charger the battery is getting a constant charge of 13.5 volts. When the batteries are topped off this voltage is too high for a float charge and it will boil off the electrolyte over time. When you add water only use mineral free water. Distilled water is best, and only fill the cell to 1/8 inch below the bottom of the fill well. Water should only be added after fully charging the battery, unless the water level is below the plates. If it’s below the plates prior to charging add enough distilled water to cover the plates before you charge the battery. Note: If you are not comfortable working on or near lead acid batteries have a qualified RV repair facility perform the battery maintenance for you. Following these basic battery maintenance procedures can add years of life to your lead acid RV and automobile batteries.